Prefer a part-time work from home job? 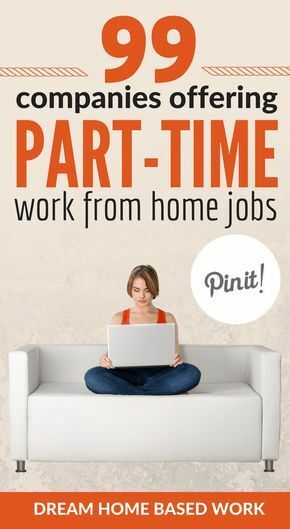 This amazing list of 99 part-time options ideal for stay at home moms, college students, and young teens. Here are 99 companies offering part-time work from home.